The First Look…leads to the first kiss. 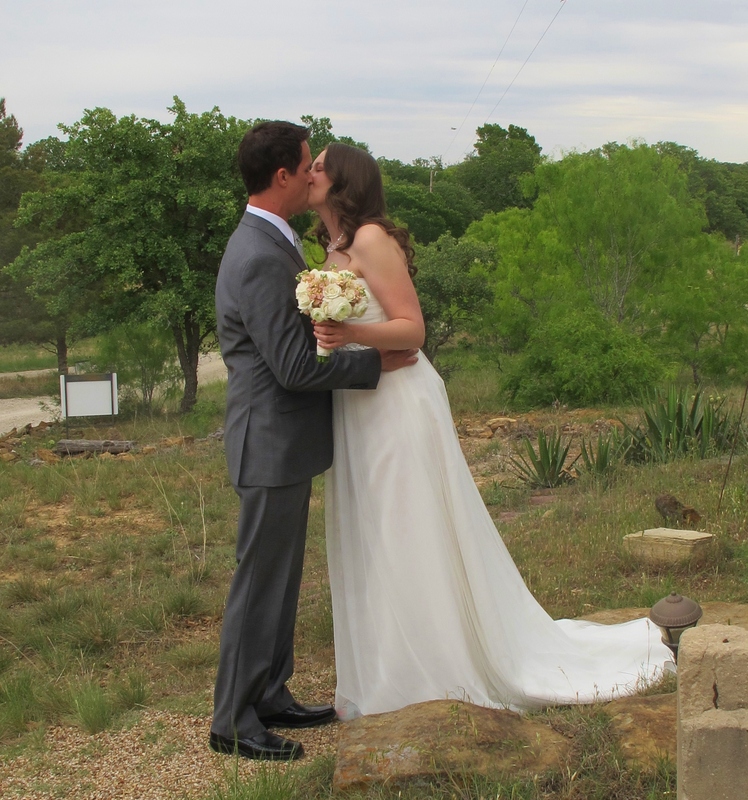 We love doing elopements at Star of Texas Bed & Breakfast. One of the most fun things for me, is doing the photos for the couple. The new thing is doing the “first look”, where the bride sneaks up behind the groom, taps him on the shoulder and he turns to see her in her wedding dress for the first time. For some reason that always turns into a first kiss! It’s just refreshing to see the man light up as he sees his blushing bride in her dress with hair fixed up special and beautiful flowers in hand. I love looking at wedding photos and trying to come up with new and creative ideas to make the moment be captured forever for them in photos. I encourage couples planning on getting married to look at wedding photos together and find things that they like. A great place to start is on Pinterest, where thousand of wedding photos are posted. Your wedding day is special and photos are the only thing that will last to have memories of it, so plan your pictures just as much as every other detail of your ceremony. This entry was posted in Deb's Doodles, Texas Elopements and tagged elope in Texas, first look, wedding photos by admin. Bookmark the permalink.